Nutritional and cancer fighting supplements are an integral part of any comprehensive cancer treatment plan but, despite claims of miracle cures on the Internet, no supplement alone eliminates cancer. Yet supplements play a very important role in cancer treatment, because cancer is continually trying to outsmart whatever you are doing, and supplements can help you to attack it from multiple angles. To do this, you’ll need to use a variety of targeted anti-cancer herbs and supplements, which you and your doctor will want to rotate on a regular basis. Supplements serve a fourfold purpose in cancer treatment: to detoxify your body, provide it with foundational nutrients, to balance and augment your immune system function, and target and kill circulating tumor cells and/or stem cells. You’ll want your doctor to use the lab tests that are described later in this section to determine exactly what supplements you need. If you have cancer, in addition to the few core anti-cancer supplements that I recommend for everyone, you’ll want to find out what supplements will eliminate the circulating tumor cells (CTCs) and (CSCs) because chemotherapy and radiation can’t kill them and they are responsible for over 95% of all metastases. It is beyond the scope of this article to describe all of the nutrients and cancer fighting supplements that you may need to get well or remain well, so I will primarily be sharing with you the kinds of supplements that help to prevent cancer, modulate the immune system and which have cancer-killing effects upon CSCs, CTCs and tumor cells. I’ll also discuss some core anti-cancer supplements that we recommend to every single one of our patients and which should form the foundation of any anti-cancer regimen. These strengthen and heal the body, but also have cancer-killing properties. Taking supplements and herbs for cancer won’t just help you to feel better—it will literally save your life, which is why anti-cancer vitamins and nutrients need to be a part of your daily regimen, just like eating your spinach and salmon. Even if you choose the conventional route of treatment and do chemotherapy or radiation, you’ll still need to take supplements for cancer to support and heal your body, because no chemotherapy drugs can eliminate CTCs and CSCs. 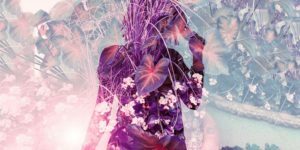 There are literally hundreds of cancer fighting herbs and supplements, but not all of them will work for your particular type of cancer or situation, so you and your doctor will want to do testing to find out which ones you need. Testing is also important because certain cancer fighting supplements are synergistic in their effects; meaning, they are more powerful when combined with other types of supplements. So don’t just take random amounts of different supplements, because the ones that you think you need may not be the ones that will help you and they may in fact harm you. RGCC testing is a good way to find out exactly what natural anti-cancer herbs, supplements and vitamins your CTCs and CSCs will respond to. Finally, if you have cancer, it’s a good idea to consult with your doctor before taking any of the cancer fighting supplements recommended in this article, to make sure that they aren’t contraindicated for your particular situation and don’t interact with other medications or supplements that you may be taking. Most people with cancer have nutritional deficiencies, so in addition to RGCC testing (which tells you what specific anti-cancer herbs your cancer will respond to), you’ll also want to do testing to determine what nutrients your body needs to rebuild and repair itself. SpectraCell Laboratories is one great lab that we use at the Center for New Medicine for nutritional testing, and which your doctor can also use to create a foundational nutritional protocol for you. SpectraCell measures the function of 35 nutritional components in your body, including vitamins, antioxidants, minerals and amino acids. You can have your blood drawn at your local lab and then mailed out to the SpectraCell lab for analysis and interpretation. NutrEval by Genova Diagnostics is another lab test that assesses your nutritional status, and like the SpectraCell, it can be done at your local lab. In addition, NutrEval evaluates your gastrointestinal and detoxification functions. Testing to find out what anti-cancer vitamins and nutrients your body needs is so important because no two people have the same nutritional requirements, and neither do they respond well to the same brands or types of supplements and herbs for cancer. You can do the SpectraCell and many of the other types of tests that we discuss in Cancer Revolution on your own, but like other aspects of treatment, it’s best to work with a knowledgeable integrative cancer doctor who can interpret their results and customize a supplement plan for you. The following five supplements should form the basis of any cancer prevention or treatment plan, along with any other supplements indicated by RGCC, nutritional and other types of lab testing. You can generally take the following five cancer fighting vitamins and supplements safely without a doctor’s prescription or needing to test. However, you’ll want to rely on test results and your doctor’s recommendations for the other anti-cancer supplements described later in this article, to determine whether those supplements and herbs for cancer are right for you, and in what amounts. Vitamin C may be one of the most powerful immune-boosting anti-cancer supplements in nature. As mentioned in my book, oral Vitamin C has different effects upon the body than high-dose, intravenous Vitamin C. At lower dosages, Vitamin C boosts immune function. At higher doses, it literally kills cancer cells by producing lethal hydrogen peroxide inside of tumors, which causes them to self-destruct. This relationship between Vitamin C and cancer is what makes it one of the best vitamins for cancer. Today, most integrative doctors using vitamins and herbs for cancer believe that the US Recommended Daily Allowance (RDA) for Vitamin C is too low, at 500 mg daily. The USRDA guidelines are based on the minimum amount that’s needed to prevent scurvy and are not what the body needs to function optimally—never mind a body that is fighting cancer. Most people need anywhere from 1,000-12,000 mg of Vitamin C daily. When it comes to Vitamin C and cancer, the average amount that I recommend to my patients is about 8,000 mg. If you just want to prevent cancer, I recommend taking 4,000 mg daily. One type of Vitamin C that you may want to try is liposomal Vitamin C, which is encased in phospholipids, or fats that come from sunflower lecithin. The phospholipids increase your body’s ability to absorb and utilize the vitamin. Liposomal Vitamin C is more expensive than other types of Vitamin C for cancer, but because it is more bioavailable, your body absorbs and utilizes more of it so you don’t need to take as much. Many Vitamin C products are made from GMO corn; are not necessarily bioavailable to the body, and/or cause gastric distress because they contain no buffers such as calcium or magnesium, so you’ll want to avoid these. Vitamin C can be safely taken in large doses; the body will simply eliminate what it doesn’t need. Regarding Vitamin C and cancer, diarrhea is, for the most part, the only side effect of too much Vitamin C. It is generally not contraindicated for any reason, although you may want to ask your doctor to make sure that it doesn’t interfere with any other supplements or medications that you may be taking. The same is true for all of the other supplements and herbs for cancer described in this article. Highly absorbable, high-potency phospholipid-bound Vitamin C for maximum bioavailability. 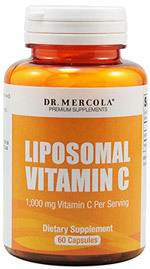 Dr. Mercola’s liposomal Vitamin C is a high-quality, doctor formulated, non-allergenic, cancer fighting supplement free from all excipients and binders. Vitamin D-3, which is the most bioavailable form of Vitamin D, is one of the most powerful anti-cancer vitamins in nature. Research on Vitamin D and cancer shows that it positively influences over 200 genes in the body,[ii] reduces inflammation, inhibits the cancer cell’s growth and replication cycle, inhibits new tumor blood vessel growth, and induces cancer cell self-destruction. It also promotes the growth of healthy cells. Nearly all of us could benefit from taking a Vitamin D-3 supplement. We usually give our patients anywhere from 5,000 to 15,000 IUs daily, depending on their test results. It’s usually safe to take a low dose of Vitamin D without getting tested, but regarding Vitamin D and cancer, it’s ideal to have your doctor test you to find out what your current vitamin D levels are, so that you know exactly how much you need. You want your results to be in the top half of the testing results range, or at about 50-70 ng/ml. If they are less than that, then this means that you need supplemental Vitamin D-3 as one of your cancer fighting supplements. Vitamin D is a very powerful nutrient that acts more like a hormone rather than a vitamin in the body. It is very hard to overdose on Vitamin D, as most people are very deficient in this nutrient, but there may be a few rare situations for which its use is contraindicated. When in doubt about Vitamin D and cancer, check with your doctor before taking it. See the Resources section for Vitamin D product recommendations. Sports research offers a high-potency, highly absorbable, easy to swallow softgel Vitamin D3 capsules. 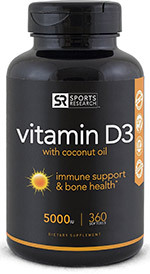 Emulsified in a base of health coconut oil, Sports Research Vitamin D3 is a high-quality additive and binder free supplement. 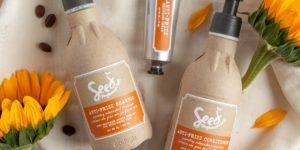 The third type of supplement that you’ll want to add to your core regimen of cancer fighting herbs and vitamins is essential fatty acids (EFAs) from Parent Essential Oils (PEOs). PEOs are omega-6 and omega-3 essential fatty acids from linoleic and alpha-linoleic acids. 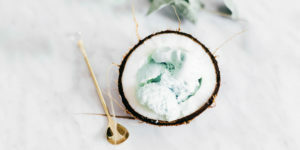 Researcher and PEO developer Brian Peskin, who was the first to coin the term Parent Essential Oils, believes PEOs to be the only whole, unadulterated, fully functional forms of the only two essential fats that your body demands. [iii] PEOs oxygenate the cells and play an important role in healing cell membranes. When your cell membranes are strong and healthy, your cells become more efficient at uptaking nutrients and expelling waste. They are able to receive more oxygen, which helps your normal cells to remain healthy, while encouraging the destruction of the cancerous ones. An insufficient amount of PEOs in your diet can reduce the amount of oxygen in your cells sufficiently to cause cancer, so you’ll want to make sure to get your EFAs from PEOs. We recommend that our patients take omega-3 EFAs from supplemental alpha-linoleic acid and omega-6 EFAs from linoleic acid, which come from foods such as walnuts, hazelnuts, sesame seeds and apricot oil. These can also be purchased in supplement form where you shop for other natural vitamins and herbs for cancer. In the Resources section I provide some EFA supplement recommendations. EFAs produce no side effects and are very healthy for the body, since they are a component of food. 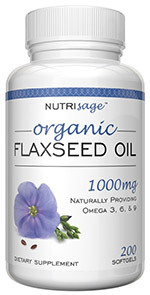 Nutrisage Flaxseed Oil is grown organically in the USA and harvested and ground at peak freshness for maximum Omega 3, 6 and 9 Essential Fatty Acid content. Rich in Omega-3 alpha-linoleic acid and Omega-6 linoleic acid for maximum health benefit, this a potent health-boosting oil. We recommend pancreatic enzymes as an anti-cancer supplement to everyone for several reasons. First, many people have what’s called pancreatic insufficiency, which means that their bodies can’t produce sufficient amounts of pancreatic enzymes, due to stress, toxins, a bad diet, and other factors. You can find out whether your body is producing sufficient enzymes by doing a couple of simple blood and/or stool tests. The blood tests that your doctor will want to order for you are called amylase and lipase, which are two types of enzymes produced by the pancreas and that show how well your body is producing digestive enzymes. Your doctor may also want to order a stool test that measures elastase, which is an enzyme that digests protein and is another useful measure of pancreatic function. If you find out that you have pancreatic insufficiency, supplemental enzyme products can help your pancreas to digest food and keep it from becoming overtaxed by a poor, protein-heavy diet. Secondly, and perhaps more importantly, pancreatic enzymes are useful for stripping cancer cells of fibrin, which is an outer coating that shields them from the immune system. Enzymes such as trypsin and chymotrypsin, which are found in some pancreatic enzyme products, when taken on an empty stomach, help to break up this fibrin so that your immune system can more effectively detect and destroy the cancer with the help of this cancer fighting supplement. The benefits of pancreatic enzyme therapy in cancer treatment were first recognized in the early 1900s. A Scottish embryologist named John Beard proposed that pancreatic proteolytic enzymes were the body’s main defense against cancer and that taking supplemental enzymes could kill cancer cells. His theory and evidence for the success of enzyme therapy are published in a monograph entitled The Enzyme Therapy of Cancer. [iv] Dr. Beard witnessed many thousands of his patients and clients heal from late stage cancers as a result of taking pancreatic enzymes, even without additional cancer fighting herbs. Pancreatic enzymes are a very powerful anti-cancer supplement, useful for both cancer prevention and cancer treatment, but the amount that you’ll want to take depends on whether you are trying to prevent cancer or beat it, and just like all anti-cancer herbs and vitamins, not all pancreatic enzyme products are created equal. Look for broad-spectrum proteolytic enzyme formulations that contain enzymes such as pancreatin, bromelain, papain, lipase, amylase, trypsin and alpha chymotrypsin. In the Resources section I share some suggested enzyme products, along with dosing recommendations. Pancreatic enzyme dosing is an art, so it’s best to consult with your integrative doctor to determine what products and amounts are best for your particular situation. Pancreatic enzymes are very safe and generally not contraindicated in most situations, if taken according to product or your doctor’s guidelines. 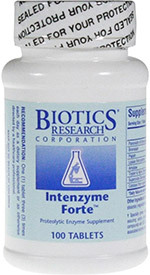 Intenzyme Forte is a broad spectrum, doctor-formulated proteolytic enzyme supplement, containing essential cancer fighting enzymes like pancreatin, bromelain, papain, lipase, amylase, trypsin and alpha chymotrypsin. Many of our patients have trouble digesting their food, so we will sometimes recommend that they take hydrochloric acid, digestive enzymes (which can be different than pancreatic proteolytic enzymes) probiotics and foods containing probiotics, to assist with this process. Whether you are looking to heal from cancer or simply prevent it, you may want to add these to your supplements for cancer regimen, as well. Hydrochloric acid (usually called betaine HCL) helps your stomach to break down food, while digestive enzymes in your small intestines further break it down, digest and assimilate it into your body. Probiotics populate your large and small intestines with beneficial bacteria that get stripped away as a result of antibiotics in the food supply, pathogenic infections, toxins from the environment, and other factors. A large part of your immune system is found in your gut, so it’s essential that you do what you can to keep your gut healthy by giving it support with cancer fighting herbs and supplements. In fact, your intestines contain more immune cells than any other part of your body! This is little appreciated by people who think the gut’s only role is digestion. The intestines and the beneficial organisms that live in them don’t just help us to digest food; they have many other functions. For instance, they prevent microbes and pathogenic bacteria from invading our bodies, and help them to create essential nutrients and vitamins. 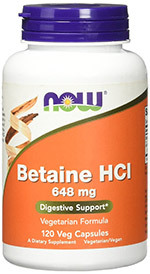 Now Brand betaine hydrochloric acid is formulated to create the optimal conditions in the stomach and intestines for proper digestion. Betaine HCL contains hydrochloric acid from beets, a natural whole food source for hydrochloric acid. You can help to maintain the health of your gut by taking a hydrochloric acid supplement, along with digestive enzymes and probiotics, all of which you can purchase at your local health food store where you can also find other vitamins and herbs for cancer. You’ll also want to include more fermented foods in your diet, because these contain live cultures that repopulate your gut with beneficial bacteria and help to restore a healthy microbial environment there. Use food-based sources of nutrients whenever possible, since nutrients from nature are always better than those that are found in a pill. You know that a product is made from food and not chemicals because the ingredient label will read: “food based” or “whole food cultured” or something similar. Excellent fermented foods include kefir, sauerkraut, kombucha and kimchi. 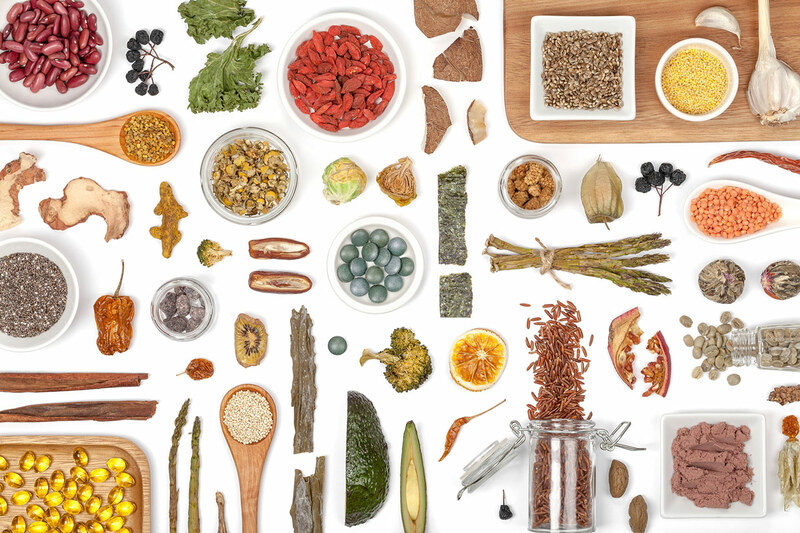 See the Resources section for information about where to find a great selection of healthy, delicious fermented food products and probiotic supplements. A powerful, health-boosting mix of high-potency probiotics and digestive enzymes designed to restore optimal digestive function and support overall health. Contains 5 active probiotic cultures and 9 digestive enzymes sourced from foods like papaya and pineapple for maximum effect. Now that you know which supplements are essential for you to take—whether you want to prevent cancer or heal from it—following I share some of the most important patient-specific cancer fighting supplements that we recommend and use at our clinic on our patients that have cancer. These are powerful and effective immune enhancing and cancer killing supplements which we prescribe according to our patients’ bio-energetic test results, RGCC and/or other lab results. You and your doctor should include herbs and vitamins for cancer in your treatment regimen only if your lab and other test results indicate that you need them. Some of these supplements are also useful for cancer prevention and for health maintenance, but again, it’s best to have your doctor first test you, to determine whether they would benefit you. While all of the following supplements for cancer are generally very safe to take and contraindicated only in a few situations, all supplements and medications can interact with other supplements and medications, and either potentiate or decrease their effects. In rare cases, they can also cause harm to the body, so it’s best to consult with your doctor before taking them. It is beyond the scope of this book to list every type of potential interaction, so you may also want to do a supplement search on WebMD, which lists all supplements and their potential side effects and drug interactions, to make sure that the cancer fighting herbs and supplements that you are taking are safe and appropriate for you. Cancer results from oxidative damage to cells, which is caused by “free radical species,” or unstable molecules that damage cells. Many of us have huge amounts of free radicals in our bodies, due to environmental toxins, a poor diet and inflammation. CoQ10 is a potent intracellular antioxidant that quenches free radicals, making it a great supplement for cancer. It also enhances the activity of macrophages, one of your body’s key immune cells that “gobbles up” and digests cellular debris, foreign substances, microbes, and cancer cells in a process called phagocytosis. CoQ10 increases the proliferation of granulocytes, another type of immune cell involved in healing. 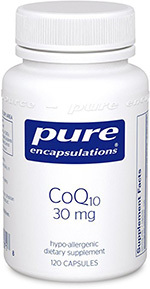 CO-Q10 is generally safe for most people to take as an anti-cancer supplement. Some researchers are concerned that it might lower the effectiveness of some chemotherapy drugs, so you’ll want to consult with your doctor if you are on a chemotherapy regimen. It may also be contraindicated in a few other situations or conditions. See WebMD.com for more information, and the Resources section for CO-Q10 product and dosage recommendations. Quercetin also chelates, or removes, “transition” heavy metals from the body. These are heavy metals that may have just entered the body and which have not yet found a home deep within the tissues. 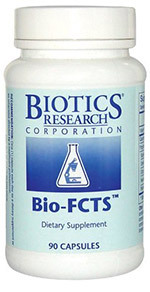 One of the quercetin products that we recommend to our patients and which you may want to try is called Bio-FCTS™ from Biotics Research. This product, which is made from buckwheat, also contains other anti-cancer herbs and substances, such as green tea extract, bioflavonoids and thymus and spleen extracts, all of which boost the immune system. See the Resources section for information about where to obtain this and other quercetin products. Typical dosages of oral quercetin have been found to be safe, but there have been a few reports of kidney damage when it is given via IV, although such reports are rare. See WebMD for other possible contraindications and side effects. High-potency, doctor-recommended, food-sourced quercetin supplement that also contains synergistic anti-cancer herbs and nutrient, such as green tea extract, bioflavonoids and thymus and spleen extracts, all of which boost the immune system. Melatonin is yet another powerful antioxidant which is naturally secreted by the pineal gland in your brain at night while you sleep. Many of us don’t produce enough melatonin, due to the prevalence of electromagnetic fields in our environment (EMFs) and excessive artificial light exposure at night, among other reasons. Taking supplemental melatonin can help you to sleep better, but it is also a powerful anti-cancer supplement. We recommend dosages of 3-20 mg of melatonin to our patients, depending on their needs and the other cancer fighting vitamins and herbs they are taking. Lower amounts, such as 1-3 mg, are usually sufficient for improved sleep, while higher doses—anywhere from 10-20 mg—are needed to treat cancer. If you just want to prevent cancer or get better rest at night, taking 1-3 mg is usually sufficient. To find whether it’s an appropriate cancer treatment for your particular type of cancer, you’ll want your doctor to order an RGCC test. If so, he or she can then determine how much you need for that purpose. See the Resources section for product recommendations and further information about dosing guidelines. Melatonin has been proven to be very safe when it is taken according to established guidelines, and is a very beneficial supplement for most people, whether they are taking it as an anti-cancer supplement or not. However, it may be occasionally contraindicated in a few situations. See WebMD.com for more information. High-potency, ultra-high quality melatonin supplement in convenient liquid form. 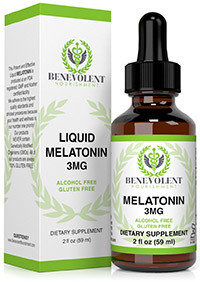 Unlike pills and capsules which only come in one strength, with liquid melatonin you get more melatonin for less money and you can control the exact dose. 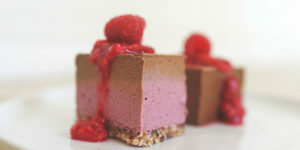 Free of wheat, dairy, soy, yeast, sugar, sodium, artificial flavors, sweeteners, preservatives and colors. Artemisinin is an herb that comes from a plant called Artemisia, or wormwood. This anti-cancer herb has been widely studied, especially in recent years, for its anti-cancer effects. It disables cancer cells by reacting with the iron inside of them that helps them to grow, and by triggering free radical production. The free radicals destroy the cancer cell membrane, and with that, the cancer cell. 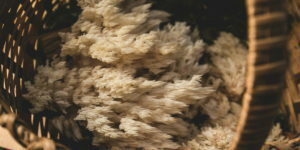 Artemisinin also oxygenates the body. Lab studies have shown artemisinin to have anti-cancer effects upon 55 different types of cancer cells, ranging from leukemia, to colon, lung and breast cancer cells, and fibrosarcomas (cancers derived from fibrous connective tissue). As one of the best cancer fighting herbs, it has also been proven to kill cancers that have traditionally been resistant to chemotherapy. [viii] See the Resources section for product recommendations and typical dosages. Artemisinin is a very safe herb for cancer but, as with all of the supplements in this section, it should be taken only if your doctor and test results indicate that you need it. The side effects and contraindications of artemisinin are generally few. If you have a history of liver disease, you should consult with your doctor before using it, as there have been a few reports of liver problems among those who have used artemisinin, especially at higher dosages. High-potency, ultra-high quality Organic wormwood supplement, which is the best natural source of artemisinin. Oregon’s wild harvest worwood is organically grown and cultivated in the healthy fertile soils of our organic farm in the Pacific Northwest. So enjoy lots of garlic in your food, and if testing indicates, use higher amounts in supplement form as part of your anti-cancer vitamin, herb and supplement treatment regimen. Garlic is a wonderful food, and when taken in supplement form, is also safe when taken according to product guidelines. Since garlic lowers blood pressure, higher doses may be contraindicated in people with low blood pressure. See WebMD.com for further information on side effects and potential contraindications. Green tea contains chemicals called polyphenols, which have potent anti-cancer herbal properties. The most famous of these is called EGCG, which is a powerful free radical scavenger and anti-inflammatory agent that protects cells from DNA damage that can lead to cancer. But it also directly induces apoptosis, or cancer cell self-destruction, and stops tumor blood vessel development. EGCG’s antioxidant effects are considered by some researchers to be more powerful than those of either Vitamins E or C.
EGCG rarely causes side effects, although there have been occasional reports of indigestion and nausea with it, and rarely, liver problems, especially when it is given in higher doses. Again, see WebMD for more information on the side effects and contraindications of EGCG. Along with many of the supplements and herbs for cancer listed here, you can purchase green tea extract over the counter. See the Resources section for product recommendations. 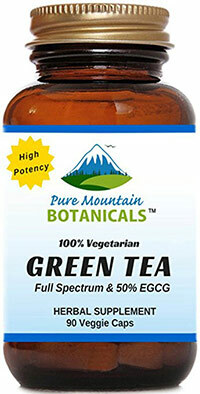 An ultra-high quality, organic green tea extract rich in cancer-fighting polyphenols, catechins and ECGC. Cold-water extracted to preserve sensitive compounds in the tea leaves. Indole-3-carbinol (I3C) is a chemical that is found in cruciferous vegetables such as cauliflower, cabbage, broccoli, Brussels sprouts, cauliflower and kale. As a cancer fighting supplement, it partially blocks the effects of chemicals that have xenoestrogenic effects upon the body, which can increase your risk for some types of cancers, especially reproductive cancers such as those of the breast, uterus, cervix and prostate. You can do hormone testing to determine whether excess estrogen or xenoestrogens are playing a role in your disease or putting you at a greater risk of contracting certain types of cancer. The Estronex Profile is one test that does this, by measuring how well your body metabolizes and eliminates estrogens. If you find that you have too many “bad estrogens” in your body, you can reduce their impact by increasing your intake of vegetables that contain I3C, or by taking an over-the-counter I3C supplement, which you can get at your local health food store along with other anti-cancer herbs and vitamins. I3C is a very safe supplement for cancer that causes no side effects. If you take any medications that are broken down in the liver, indole-3-carbinol may increase their breakdown rate and decrease their effectiveness, so you may want to consult with your doctor before taking it, if you also take medications. 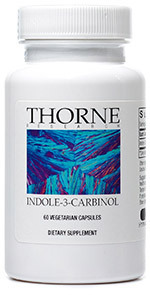 High-potency, ultra-high quality Indole-3-Carbinol supplement used by doctors and naturopaths worldwide. Thorne products contain ingredients from the purest sources available and never contain gluten, Genetically Modified Organisms (known as GMOs), artificial preservatives, stearates, gluten, soy, corn, yeast, sugar, or magnesium stearate. Curcumin is a powerful anti-inflammatory chemical that comes from the popular Asian spice turmeric, which has a number of anti-cancer properties, making it a powerful cancer fighting herb. At the Center, we do IV curcumin treatments, and recommend oral curcumin for our out of town patients. Most people can safely take high amounts of oral curcumin for cancer prevention along with other cancer fighting herbs and vitamins, but if you or your doctor wish to incorporate it into your treatment plan, it’s best to get tested to find out what dosage would be best for you. 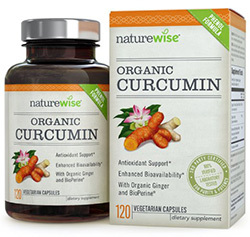 Curcumin isn’t contraindicated in most health conditions or situations and can be safely taken with most other anti-cancer supplements and medications. Rarely, allergic reactions may occur. If you are allergic to plants in the ginger family, or yellow food coloring, which often contains curcumin, you may want to consult with your doctor before taking it. In 1922, a Canadian nurse named Rene Caisse from Ontario, Canada, learned that one of her patients had recovered from breast cancer by taking an Indian herbal tea from an Ojibwa medicine man. She apparently then used the recipe to treat her aunt’s stomach cancer and found it to be so successful that she opened a clinic and treated thousands of patients with injections and tea preparations created from the anti-cancer herbs. She named the combination of the herbs Essiac, which is her last name spelled backward. Essiac is most commonly taken as a tea or in capsules and consists of four main cancer fighting herbs; burdock root, slippery elm inner bark, sheep sorrel and Indian rhubarb root, all of which have cytotoxic, or cancer-killing properties. Essiac also improves immune system function, relieves pain, restores energy, detoxifies the body, increases appetite, reduces inflammation and eliminates excess mucus in the organs—among other things. Essiac tea has been reported in the media to be a controversial treatment but we have found that many of our patients respond well to it, and it shows up often on our patients’ RGCC test results as an effective anti-cancer herbal agent. You can purchase Essiac as a tea or in supplement form, for both cancer prevention and treatment purposes. 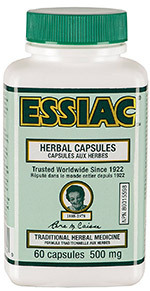 However, not all brands of Essiac products are created equal, and some may be downright ineffective, so if you decide to try Essiac, purchase the tea or capsules through a reputable company like Essiac Products (see where to get it/product recommendation below), which uses the original formula created by Renee Caisse in their products. Essiac tea and supplements are generally very safe when taken according to product guidelines. Though this cancer fighting herb may be contraindicated in a few health conditions, such as kidney disease and colitis, or if you have a bowel obstruction or diarrhea. You may also want to consult with your doctor before taking Essiac if you are diabetic or on blood thinning medication. See WebMD.com for further information on potential contraindications and side effects. The famous cancer-fighting essiac herbal blend in convenient capsule form for easy consumption. This is the original recipe given to Renee Caisse by the Ojibwa medicine man. Medicinal mushrooms are used worldwide to treat cancer and enhance immune system function. Shiitake, maitake, ganoderma, reishi and cordyceps are a few of the most widely used mushrooms. They have been used for millennia in parts of Asia, and we also use them as part of some of our patients’ anti-cancer herbs and supplements regimens. Mushrooms have immune-modulating, anti-cancer, antiviral, anti-inflammatory and liver protective properties. It is beyond the scope of this book to describe the anti-cancer benefits of all the different types of mushrooms that are out there, but one great combination mushroom product that I recommend to our patients is called Host Defense® My Community Capsules™. This product contains 17 powerful mushroom species that have anti-cancer effects and which promote immune system health. It is a great addition to any anti-cancer protocol or cancer prevention regimen utilizing cancer fighting supplements. Other well-researched and quality mushroom products include those created by Dr. Tsu-Tsair Chi, a PhD biochemist and doctor whose formulas are used by many thousands of doctors worldwide. For more information on these and other recommended mushroom products, see the Resources section. Because there are such a wide variety of mushrooms on the market, each with its own unique anti-cancer benefits, it’s best to consult with your doctor and test to determine which of these might be best for your unique situation, and in what dosages. A potent blend of 17 cancer fighting mushroom species. 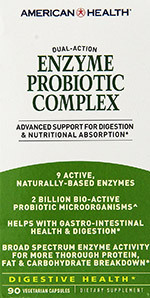 Comprehensive formula designed to support natural immunity. This organic mushroom supplement contains multiple mushrooms including, but not limited to cordyceps, chaga, reishi, maitake, lion’s mane, and agarikon. Ask your doctor to order an RGCC test, or do a bio-energetic test (see Chapter 2 of my book) to find out whether some or any of these vitamins and herbs for cancer would be beneficial for treating the particular type of cancer that you have. I was diagnosed with stage 2B breast cancer in 2001. I chose to do chemotherapy, radiation and surgery. After that, I tested negative for cancer for 11 years, and all of my labs were normal until October 2012, when I was diagnosed with a stage four breast cancer that had spread to my liver. I did a half-dose, four-month chemotherapy regimen starting in November 2012. Since I hadn’t tolerated the chemotherapy well the first time around, my doctor cut the dosage in half. In the meantime, I went to see Dr. Connealy because her therapies were completely different and non-toxic, and I knew that I had a better chance of being healed at her clinic. Dr. Connealy encouraged me to continue chemotherapy, and gave me some immune-supportive, anti-cancer supplements to take at the same time. She did limbic stress assessment (LSA) testing and lab testing to determine which cancer fighting herbs and supplements would work best for me. I really appreciated that she understood that I was very sensitive to both supplements and drugs, and was open to changing my regimen if some of the cancer fighting herbs and vitamins working well for me. There are so many supplements that have anti-cancer benefits and which work well synergistically, and she always had a new recommendation to help me. We used, and are still using, everything possible to beat the cancer. I take turmeric supplements, pancreatic enzymes, quercetin, and plant-based parent essential oils (PEOs), to name a few. I drink ginger and turmeric lemonade daily. We include and rotate nearly all of the anti-cancer supplements that have anti-inflammatory and immune-building properties. Since the cancer was in my liver and has affected how well it functions, I use an anti-cancer herbal combination to help regulate my blood sugar. Dr. Connealy had also noticed that one of my lab numbers was high, due to a parasite infection, so she referred me to a herbologist who gave me herbal tinctures to get rid of it. He mentioned that he’d never seen a breast cancer patient without parasites. Turns out, they were in my liver, so I’ve been using a tincture for several months and seem to be making great progress. I notice that I am feeling more energy and less pain in my liver. I’ve been on Dr. Connealy’s regimen since October 2012, and since then, most of my cancer markers and lab results, including my CTCs and CSCs, and nagalase, have greatly improved. My liver used to be covered in lesions; now they are gone and everything is functioning well. Taking supplements and herbs for cancer has been essential to my recovery, along with detoxifying my body and environment. 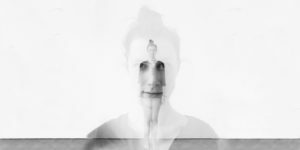 We are surrounded by environmental toxins and are living in a veritable toxic soup, so I also do dry body brushing, laser light therapy, yoga, footbath detoxification and fasting, among other things. I eat according to my metabolic type and prepare foods according to the wisdom of Weston A Price. I exercise regularly and develop emotional/spiritual/mental strength and stability using a variety of healing tools. Stress plays a bigger role in disease than one might think. We all need to slow down. Life is precious, and we can choose to enjoy every day. That is what will ultimately change our health. 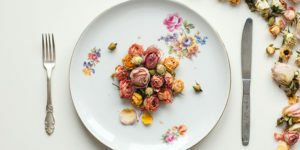 This article on supplements and herbs for cancer is excerpted from The Cancer Revolution: A Groundbreaking Program to Reverse and Prevent Cancer by Dr. Leigh Erin Connealy. Leigh Erin Connealy, MD, has been practicing medicine for thirty years. Dr. Connealy attended the University of Texas School of Public Health, and the University of Health Sciences Chicago Medical School. She completed her post-graduate training at the Harbor/UCLA Medical Center in Los Angeles, California. 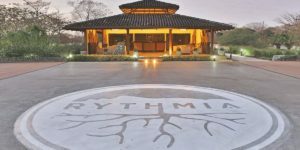 She is founder and medical director of the Center for New Medicine and Cancer Center for Healing in Irvine, California. Dr. Connealy’s work has been published in many scientific publications. 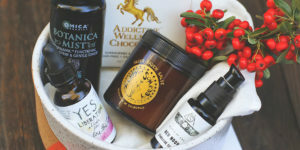 Her daily newsletter, Newport Natural Health, shares free tools for improving health with natural medicine. Learn more about her and her work at: connealymd.com and cfnmedicine.com. [i] Linus Pauling and Ewan Cameron. Cancer and Vitamin C, (Warner Books, C/o Little Br, 1981). [ii] George Ebers, “Vitamin D found to influence over 200 genes, highlighting links to disease,” The Wellcome Trust Centre for Human Genetics, University of Oxford, (2010). [iii] Brian Peskin, “Why we now recommend Cardio Crusaders Parent Essential Oils instead of fish oil.” Cardio Crusaders. [iv] John Beard, “The Enzyme Treatment of Cancer and Its Scientific Basis,” New Spring Press, (1911), accessed March 1, 2015. [v] Oregon State University. “Gut microbes closely linked to proper immune function, other health issues.” Science Daily, (Sept. 16, 2013). [vi] “Quercetin Is A Multi-Faceted Cancer Fighter.” Quercetin.com. [vii] E. Mills, et al. “Melatonin in the treatment of cancer: a systematic review of randomized controlled trials and meta-analysis,” J Pineal Res., (Nov. 2005):39(4):360-6. [viii] “The Healing Power of Artemisinin”. [ix] “Garlic and Cancer Prevention,” National Cancer Institute, (Jan. 2008). [x] RT Kodali and GD Eslick. “Meta-analysis: Does Garlic Intake Reduce Risk of Gastric Cancer?” Nutr Cancer, (Jan 2015);67(1):1-11. doi: 10.1080/01635581.2015.967873.